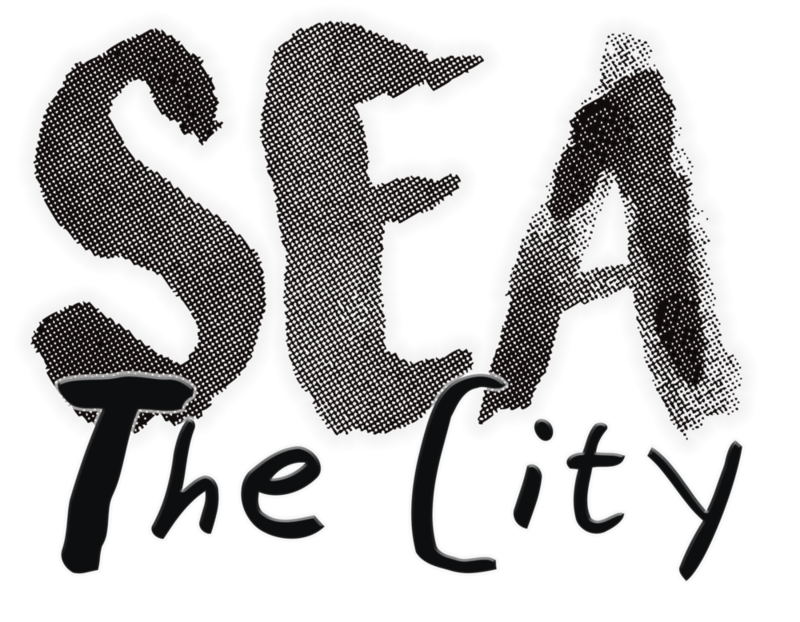 Arguably the most frustrating Seattle feature? Traffic. I left early for a two-mile travel, and ended up spending an hour and a half of my life I could never get back. I found myself meandering into an unexplored part of Capitol Hill, where I finally escaped the Mercer, Denny to I-5 barricade-filled construction nightmare. The calm tree-shaded lanes gave way to older brick buildings lined with parked cars that had escaped sooner than I. Here I found my destination, Cook Weaver. Out front were Zac and business partner, Nile, enjoying the light breeze and sun while their pictures were taken. Stepping into their moment brought me back to what makes this neighborhood so beautiful. The hand cut stone structures, the winding curved roads, shops of books, servicing spas and beauteous wares. I was used to the pile of people, streets lined with pedestrians eager to get to their destinations. The inebriated late night laughter of one end of Capitol Hill was juxtaposed by the wind rustling through trees, the sing song of birds and the aroma of invitation on this end. 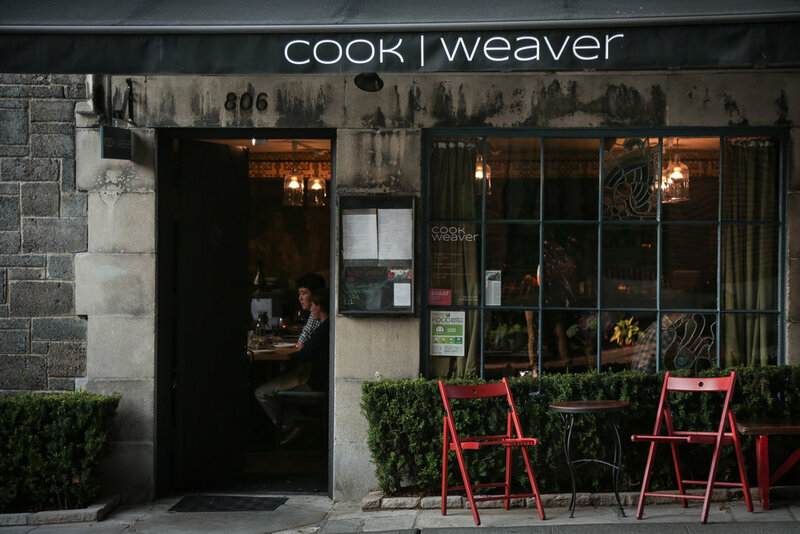 We were invited to a back corner inside Cook Weaver, where the warmth followed us in as we sat to talk with head chef Zac about his journey. He explained that he is not trying to carve out a niche in fusion, or experiment with fragile ingredients or gastro-inventions. Inside look at Cook Weaver. Having recently launched at the very end of 2016, the December birthday of the restaurant could not predict its trajectory. Zac seemed to be an explorer by nature: the interior of the walls were painted with Tsar’s visits- a homage to the border between Europe and Asia’s hearts. What would the culinary industry be if everyone stayed in their own lane? A pantry is lined with sesame, cumin, curry, cayenne, dill, garlic and a cavalcade of other herbs and spices. Though all restaurants, on some level, compete, he knows how to emphasize the positives of his journey. This is his signature: capitalizing on the millenia of taste-sharing expeditions that have shaped the east and west. These journeys predate him, but have sculpted all palates. The taste of his food demonstrates his understanding of backbone flavors that exist in any cultural dish. What is labeled as Eurasian fusion is truly so much more with him at the helm. He has kept his kitchen open to help tell that story. The long table is positioned near windows with a view of prep stations, cooking surfaces and waiting bowls. Knowing time was short, he invited us back for a moment to watch him make the snow pea salad. His sous chef was preparing another patron’s meal and our excitement made the space overcrowded. His hands deftly pinched and pulled ingredients into the bowl. He counted the ingredients, checking that one was not overpowering another. Finishing with a toss of small blackened flecks that would make the Salt Bae swoon, we sensed a bit of each place and culture. This is a fully prostrated bow to the places that inspired his food. Patrons can sit at chef's table upon request and faces the kitchen. A truly special experience when you get to watch the chefs in action. Chef Zac making a signature snow pea salad. That respect shows through bright fresh peas, sweet sauce, brine of the sea. I felt no need to ask to alter to my taste; it was perfection. Next came the tomato salad, simpler sounding but so full of clean flavor profiles. All different, all delightful and all clear to the taster. Which is to say, you can enjoy the bite you are having, the play of different areas on the tongue. Once that bite is finished, one can move seamlessly to a different dish, without the linger of that too-sweet from a previous dish that makes the next dish have a bittering effect. Or the pull of too much smoke, or salt or spice. Zac talks of his experiments, and “getting out of [his] own way” with regards to a pancake problem he once had, and the exuberance when he finally hit the right flavors. This West Virginia native took culinary school very seriously. He then explored as he worked, whether it was in Jamaica cooking or working in farms elsewhere. He explored the foods he loved (he certainly knows the joys of a good burger made by others). But, luckily for us, Seattle is where he has ended up. All in all, we got a sense of what Cook Weaver brings to the table: history dipped in flavor, an amalgam of notes you can taste in one dish, and the making of not just acolytes but friendships with every patron who enters through the door.